Formed in 2001, the band had their major debut in 2005. With music that cannot be contained within the existing borders of genres, touching on topics from love to death, their romantic lyrics are philosophical and has gained great support from adolescent fans and young adults. In the summer for 2016, they were tasked to provide the music for the animated feature film “Your Name.”. Their unique band sound and the variety of music they composed for the film was a critical success. (For the above work, they were awarded the Japan Academy Award for Best Music 2017). On 23rd November of the same year, they released a new original album “Ningen Kaika” (Human Bloom). In 2017 they embarked on a nationwide tour (Human Bloom Tour 2017) with 21 performances at 12 locations. From June till July, they continued with 8 more performances around Asia in 6 major cities including Singapore, Seoul, Hong Kong, Bangkok, Taipei and Shanghai, which was a resounding success. In May that year, they also released their latest single “Saihate Ai ni / Sennou”. In Summer, they appeared at numerous festivals including the popular FUJI ROCK FESTIVAL as well. In February 2018, they were tasked to perform the theme song for the Chinese-Japanese collaboration movie “KU-KAI – The Mystery of the Beautiful Queen” directed by the critically-acclaimed Chen Kaige and gained even more attention on the world stage. On the 18th of April 2018, the Blu-ray & DVD the “Kimi no Na wa – Orchestra Concert”, performed by the Tokyo Philharmonic Orchestra, was released for sale in stores. *All standing except Cat 3. Ticket price excludes booking fee. 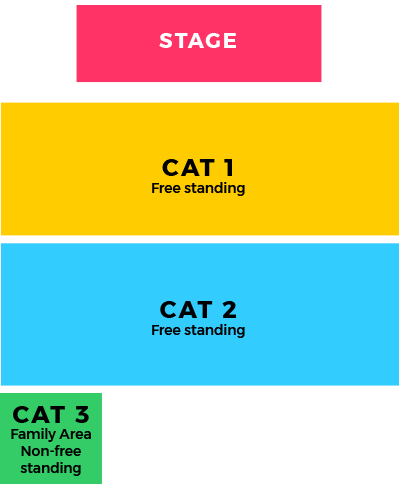 Entry for CAT 1 and CAT 2 will be via queue number and will use the same entrance. Entry for CAT 1 and CAT 2 will be in groups of 100. CAT1 starts from 1001 and CAT2 starts from 3000. CAT1 will be admitted first before CAT2. Due to limited space, there will be three queue lines set up for the groups. The first three groups may queue up first. These lines will then be reused for subsequent groups once the previous group has been cleared. Queue numbers will be shown on the entrance of the queue lines. Please do not enter the lines until your queue number shows up at the entrance of the queue lines. 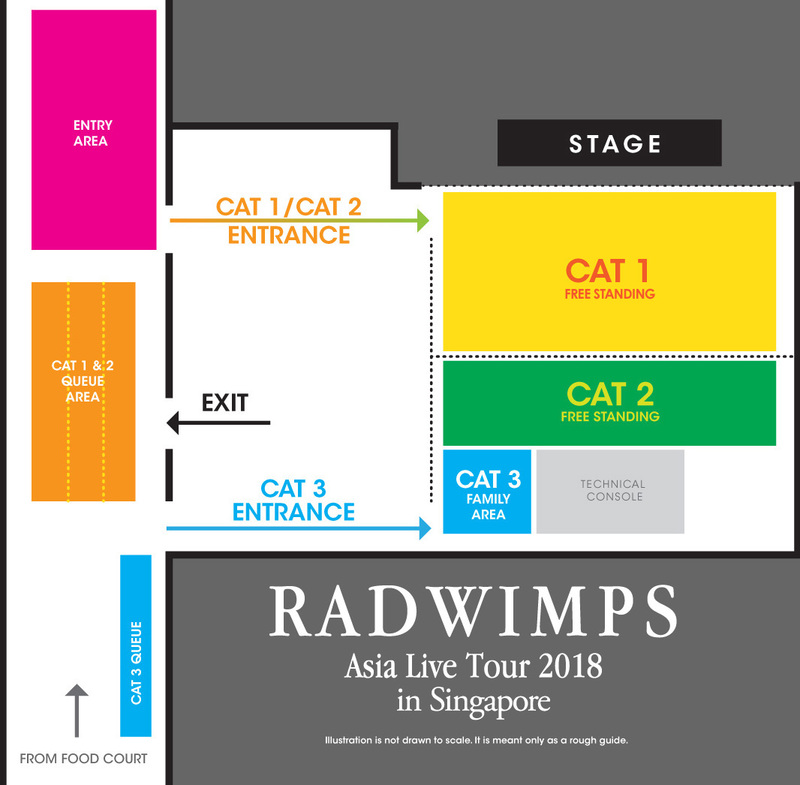 To avoid overcrowding, for CAT 2 ticket holders, please do not gather at the entrance area until 7.20pm while we admit the VIP ticket holders. Please get ready your ticket that shows your queue. You will be asked to show it when entering the queuing area. If you do not have it ready, the person(s) behind you in the same group will be allowed to go first while you retrieve the ticket. Once there are no more persons seen to be entering the queue for that group, two calls will be made before the next group is admitted. If you have missed your group, you will have to enter with the next available group. You will NOT be allowed to jump ahead of the group already entering. Security checks will be conducted during entry and re-entry. For faster access, we recommend that attendees to use bags that can easily opened for checking and to bring minimal items. No weapons or replica weapons. No cameras of any sort, including, but not limited to still camera, video camera, action camera, etc. Any other item, at the discretion of the security officers, found during bag checks that may be deemed dangerous and/or detrimental to the running of the event. Attendees will be asked to leave the queue to dispose of the item(s) or have them kept in the venue lockers and they will have to queue again. Attendees intending to bring these above items are requested to not bring them to the concert or keep them in the venue lockers before entry. Please note that there are limited lockers at the venue and require payment for usage. Cloak room services will not be provided. *Ticket price excludes booking fee.